As the Bundesliga returns from a mid-season hiatus, toppers Borussia Dortmund will look to maintain their lead at the top as they face RB Leipzig on Saturday. Bundesliga will bring us a series of mouth-watering fixtures upon its return this week and Borussia Dortmund’s clash with RB Leipzig will surely be the pick of them as two of Germany’s powerhouses lock horns at the Red Bull Arena on Saturday. The visitors Dortmund are league leaders at the moment, following an exceptional Hinrunde campaign that saw them secure 42 points out of a possible 51. As a result, they are six points clear of second-placed Bayern Munich and Lucien Favre will, thus, look to continue his side’s dominance in the league this weekend. The Black and Yellows churned out two narrows wins during their mid-season friendlies against Fortuna Dusseldorf and Feyenoord respectively. And with several key players facing a spell on the sidelines, Dortmund will be unsure of their chances against Leipzig. The East-German giants are currently fourth on the league table, just two points behind third-placed Borussia Monchengladbach. Although Ralf Rangnick’s side have appeared inconsistent, at times, they boast the best defensive record in the league, having conceded just 17 goals in 18 matches. However, they have failed to keep a clean sheet in any of their last five matches in all competitions, which will surely worry Rangnick as his side takes on the mighty Dortmund, who have the best offensive record in the league. And here at the Hard Tackle, we run the rule over both the sides ahead of this weekend’s topspiel. Rangnick will be missing out on the services of Emil Forsberg while Stefan Ilsanker is suspended. New signing Amadou Haidara also faces a spell on the sidelines and will, therefore, miss out on the action this weekend. The absence of Forsberg, in particular, will be a huge blow for the hosts, although Kevin Kampl is more than capable of deputizing for the injured Swede. He will be deployed on the left midfield slot with Marcel Sabitzer occupying the opposite slot. Diego Demme, on the other hand, is expected to retain his place at the base of Leipzig’s 4-4-2. He will be partnered by the industrious Konrad Laimer and we can expect both of these midfielders to restrict the Dortmund ball-carriers from having too much time on the ball. In attack, Timo Werner will lead the attack alongside Yussuf Poulsen. Both of these attackers have been in terrific form this season, having scored 19 goals between them so far. And they will look to exploit the Dortmund backline decimated by injuries this weekend. And finally, in defence, club captain Willi Orban will be deployed at the heart of the Leipzig backline, partnered by Dayot Upamecano. Lukas Klostermann and Marcel Halstenberg will occupy the fullback slots with Peter Gulacsi starting in goal. Probable lineup (4-4-2): Gulacsi; Klostermann, Orban, Upamecano, Halstenberg; Sabitzer, Laimer, Demme, Kampl; Poulsen, Werner. 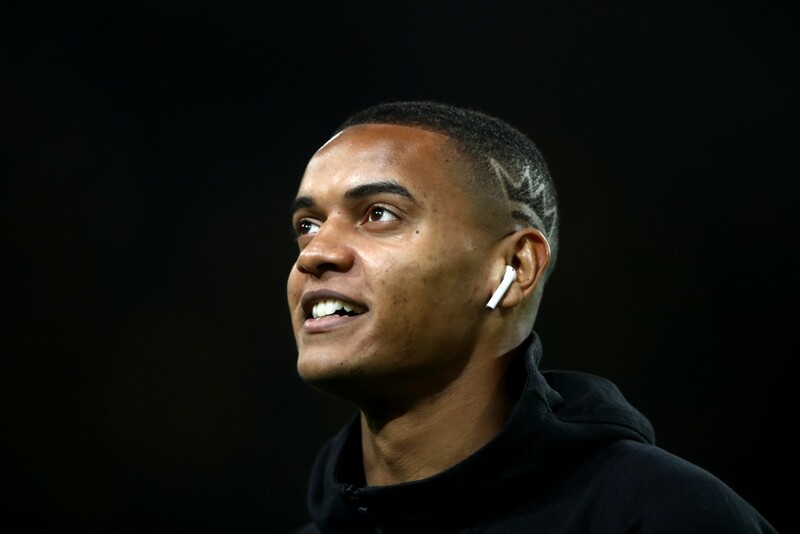 Dortmund are ravaged with injuries in the defensive department, with Dan-Axel Zagadou and Manuel Akanji being ruled out while Abdou Diallo is also doubtful. New signing Leonardo Balerdi is also unavailable as he’s currently competing in the South American Under-20 championship with Argentina. As a result, Favre could once again opt for Julian Weigl in central defence, who will be partnered by Omer Toprak. Lukasz Piszczek will retain his place in the right-back slot while Achraf Hakimi will be deployed on the opposite flank. Hakimi’s pace could be crucial in dealing with Leipzig’s wide-duo of Klostermann and Sabitzer, both of whom are known for their aggression. In midfield, Favre is likely to resort to his trusted duo of Axel Witsel and Thomas Delaney. Both of these players were excellent during the first half of the campaign but will be facing a stern test against a rigid Leipzig side. Marco Reus will be deployed further upfront, in the number ten role. The German international will be partnered by the wide duo of Jadon Sancho and Raphael Guerreiro, who played a key role towards the end of the Hinrunde. The Dortmund attack will be led by Mario Gotze, who could be given the nod ahead of Paco Alcacer even though the Spaniard is almost a guaranteed substitute in the second half. Probable lineup(4-2-3-1): Burki; Piszczek, Weigl, Toprak, Hakimi; Witsel, Delaney; Sancho, Reus, Guerreiro; Gotze. Leipzig were defeated 4-1 in Dortmund on the opening day, but did not lose again for 11 Bundesliga matches, only eventually coming unstuck against Wolfsburg on Matchday 12. There have been over 2.5 goals scored in 6 of Borussia Dortmund‘s last 7 games. Dortmund had a 10-point lead over second place after 17 matches when they won the league in 2010/11. 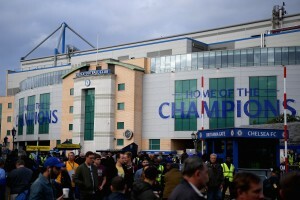 They trailed Bayern by three points at the same juncture the following season, but finished as champions, some eight points ahead of their nearest rivals. BVB lost only once during the first half of the season. They are the division’s top scorers with 44 goals. 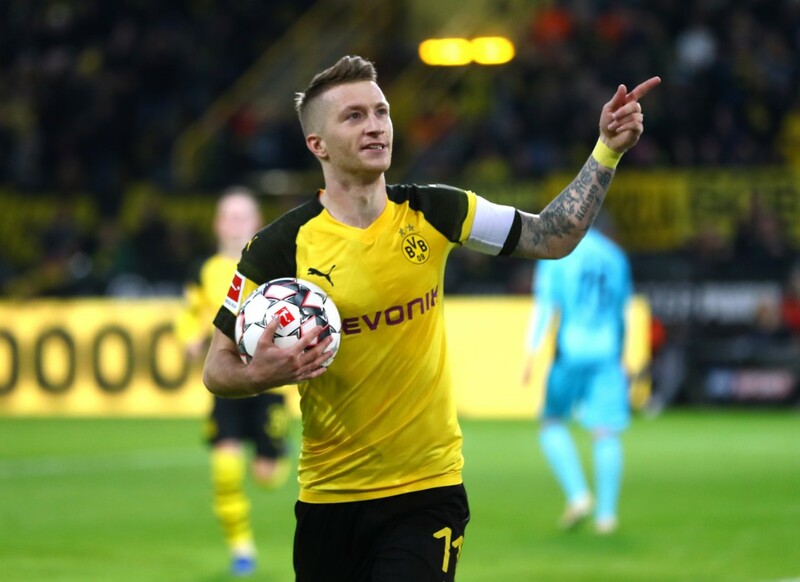 Borussia Dortmund captain Marco Reus was named Germany’s player of the year for 2018 in a poll conducted by DFB, thanks to his amazing performances during the first half of the campaign. The 29-year-old was involved in 18 goals in just 17 matches – more than any other player in the league. And we can expect the German international to play an even bigger role as the Ruckrunde gets underway this week. Reus will once again operate as the lone attacking midfielder, where his excellent ball-carrying ability combined with his frantic movements could cause a myriad of troubles for the Leipzig defence. Therefore, Rangnick will take drastic measures to prevent Reus from getting a grip in this game, failing which could surely spell trouble for the Leipzig coach. With Dortmund struggling with injuries in the defensive department, we can expect this clash to turn into a goalscoring fest with both sides boasting a substantial amount of firepower in their attacking department. But, if the visitors are surely the favourites, thanks to their incredible form.